The past month I've been missing from the blogging world, thanks to my new and shiny device. It's the Samsung Nexus S. Yes, finally, I have a nexus device. I hope that this phone helps me in my future studies, especially in mobile technology. Just a quick review, this phone, although still equipped with single core CPU running at 1GHz, it does have a decent GPU (Graphics Processing Unit) and a decent RAM (512MB). The screen is 4 inch diagonal, 800x480 pixel, 233 ppi. The only drawback is that there are no microSD card slot, so I'm stuck with 16GB of internal memory. However, my needs of multimedia is not that much, and my biggest microSD card was 8GB, so, it's not really a problem for me. 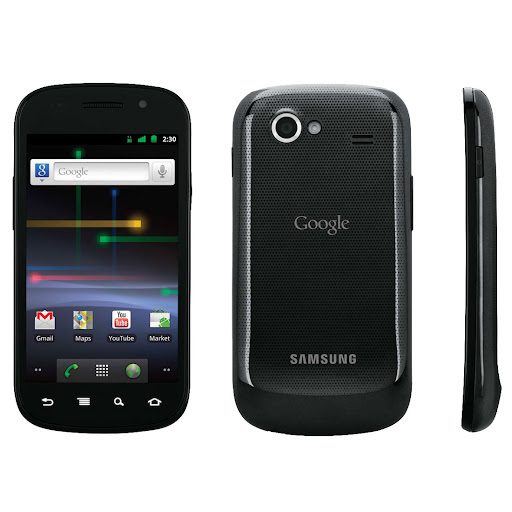 Click here for more info about Nexus S. It's the GT-i9023 version by the way. So, instead of using Super AMOLED display, it uses S-LCD display, which is fine for me. I was learning to make an android app in my last post, and since this phone come, I've been all over it so I forget about the learning a little bit. However, I'm back now, and I'm making a plan to use every single resource I could use from my new phone. It has NFC, gyro sensor, accelerometer (of course), proximity sensor, ambient light sensor, and some other stuff a typical touch screen android phone would have. I was planning to integrate webGL into this blog engine, so the gyro sensor and accelerometer will be a great use for interactive 3D content editing. In future android release, Google is planning to bring face detection, so that hopefully will bring semi 3D to a non-3D phone display like what Nexus S have. Editing 3D content will be more exciting that ever before. Just so you know, my college is going to start soon, so I'm expecting a rather slow development progress. However, I'll always try to match what I'm currently studying in class with the development theme, so everything could be done as effective as possible. In my spare time, I'll also try to do some extended learning towards the development needs, especially webGL, openGL, openGL ES, and Android Programming (it uses custom API) since I wont be getting that from my university (I assume).